Unique narrow X-bracing (70 degrees) for structural support longevity and expansive dynamic range. Symmetrical optimally sculpted top bracing for a well-balanced tone and distinctive timbre. Bracing is not scalloped. Bound ebony fingerboard with large, easily visible brass/aluminum side dots. Choice of woods for top, back and sides binding etc. See Optional Features. Choice of oval or round soundhole/rosette. 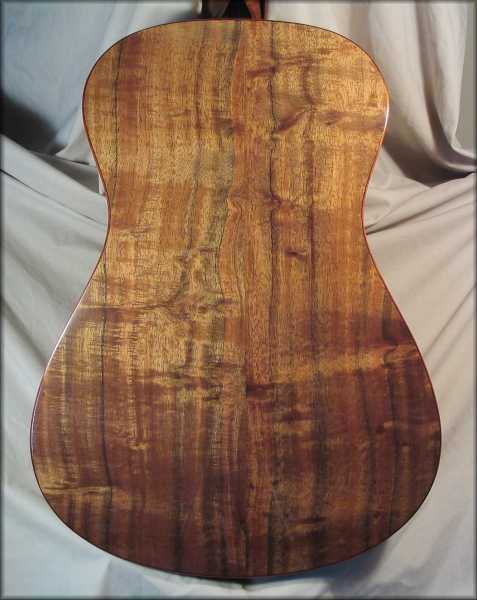 Each guitar has a unique all-wood rosette made from a variety of exotic woods. East Indian Rosewood bridge. It's light in weight (compared to ebony or Brazilian Rosewood) for responsiveness and resonant tone. Solid bent-wood basswood kerfing (the lining that joins the sides to the top and back). Solid kerfing provides a better glue joint between the sides and top/back and being thinner than slotted kerfing does not reduce soundboard area as much. It also anchors the top better for sustain and instrument longevity. The top is domed in all directions - like the surface of a sphere. This creates a strong structure that resists string-tension deformation and reduces low humidity problems. Choice of Schaller M6 Mini tuners or Grover Open-back light-weight tuners. A 1/8" wide bone saddle is precisely intonated for each individual string. The guitar body is finished with a high-gloss, acoustically thin, water-based lacquer. 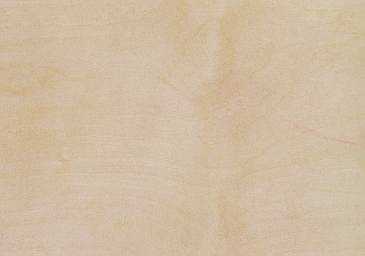 The neck has a polymerized oil finish providing a more natural feel than lacquer. Graphite reinforced (3/8" wide by 1/2" deep) non-adjustable neck. Guitars are built in a year-round humidity controlled shop (40 - 45% RH). A hard-shell, arched-top case is provided with each guitar. All instruments have a warranty to the original owner for the duration of my life as an active luthier.